However, not everything can be depreciated. For example, land is off the table: It doesn’t get used up and is not subject to wear and tear. Inventory is not depreciated either. You depreciate an asset over time. When you place property in service to use in your business or trade or to produce income, that’s when depreciation begins. However, property stops being depreciable when you’ve fully recovered the property’s cost or other basis or when you retire it from service — whichever happens first. Accelerated method — take larger depreciation deductions in the first few years of the property’s useful life and smaller deductions later on. Section 179 deduction — deduct the entire cost of the asset the year it’s acquired. For the 2018 tax year, the deduction limit is $1 million. Think of this as accelerated depreciation. It is used mostly by new businesses in their first year. Whether you’ve elected to expense any portion of the asset. 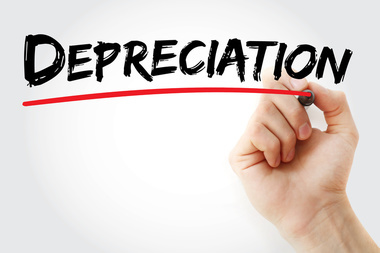 Use depreciation to decrease your tax burden — you are lowering your overall taxable income. Depreciation doesn’t affect your company’s cash flow or its actual cash balance — it’s a noncash expense. However, before making any decisions, keep in mind that this is just an introduction to a very complex topic, and the provisions and methods described here are not applicable in every situation. Give us a call to discuss them further.